*Download free version and migrate 2 mailboxes free. Perform Exchange Migration (On-premises) to/from Exchange 2003/ 2007/ 2010/ 2013 /2016 /2019. Kernel Migrator for Exchange ensures that your Exchange Server migrations are smooth and most importantly that your mailboxes are accurately mapped. The Migrator helps you to move your mailbox users from one Exchange environment to another painlessly. It also supports Exchange to on-premises Exchange Server migration, and Office 365 to Exchange migrations. 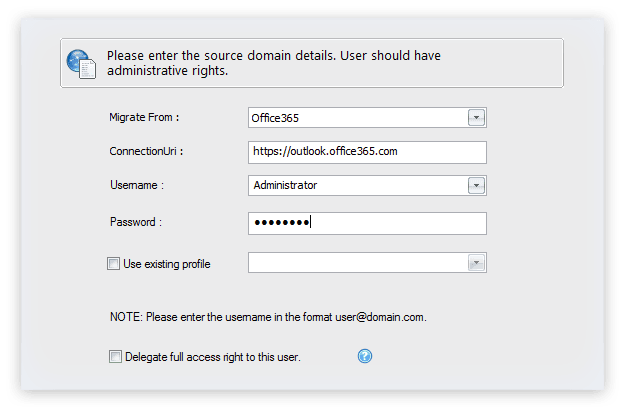 Migrates everything – Mailbox Items, rules/folder permissions, Outlook profiles. Kernel Migrator for Exchange uses a simplified approach to migrate your unlimited mailbox users to Office 365. 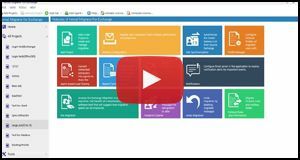 It lets you to comfortably select the source platform (between Exchange Server and Office 365), from where you want to move your data to Office 365. Our solution makes it effortless for you to migrate from any version of Exchange Server directly to Office 365 environment, without losing any control. Similarly, you can migrate from Office 365 to Office 365 as well. Kernel Migrator for Exchange, apart from migrating to different destinations, performs backup of on-premises Exchange, hosted Exchange and Office 365. It provides convenient backups and saves the desired data to 3 file formats – PST, EML and MSG. Backup each mailbox item like emails, contacts, notes, journals etc. Public folder migration was a tricky job (because of its sprawling item counts, and actual size), until you’ve used Kernel Migrator for Exchange that is specialized to keep your Public folder migrations in total control. The tool has fully automatized migration process to save your valuable administrative time. Fully synchronized mailbox migrations – both ways, source to target, target to source. This is the most flexible way to migrate all user mailboxes within an organization, between two cross-forest and cross domain environments. The solution allows the configuration of two-way trust between two AD Forests, before the migrations. Move users’ mailboxes within two same or different AD forests. While using Kernel Migrator for Exchange I liked the speed of mailbox migration. All of our mailboxes were migrated quite fast and due to the multiple filters, we were able to save only the desired items. We were able to keep the user credentials same even after upgrading to newer version. I would rate Kernel Migrator for Exchange as one of the most business friendly software because it reduces the complexity related to exchange migration and the user has complete control over the migration process. It also has an interactive user-interface. Kernel Migrator for Exchange lets you to plan the unforeseen challenges of migration, even before the execution takes place. The pre-migration analysis feature lets you to evaluate the approximate time for the migration job, based on your network speed and ‘number of machines’ in use. This feature is helpful to plan and deal with all the upcoming challenges efficiently. The solution offers real-time notifications either in the software console via “View Reports” option or straight to your specified email account to keep you updated with the live status of the migration project. These alerts provide complete job summary reflecting its Job start time, job completion time, job status, job success/job failure etc. Generate the migration report to see what exactly has happened in the migration process. The report displays full information of what’s being migrated (with Item counts and migration item size), and what are the remaining tasks. This report is presented in a web-based console that requires certain administrative permissions to view and start/stop the migration process etc. The Software creates a Job to better organize the complex migration process, and efficiently migrate those thousands of mailboxes in smaller, and separate batches. You can create unlimited jobs for mailboxes and public folder migration, and specify their migration start time accordingly. During migration, a “Migrated Items” column shows the current number of migrated items in the software job list and update in every 5 minutes giving the latest information. You can assign migration task to multiple Agent systems which are connected to the network to reduce the load on the server. The Agent Machine configuration is handy, particularly for carrying out bigger migrations projects. This helps you carry out the migration even if you don’t have enough server resources. Our solution provides true coexistence between the migrated and un-migrated mailboxes. Exchange Migrator tool allows to directly synchronize the changes made in the targeted mailboxes and reflect them immediately in the parallel mailboxes, in the following manners - source to target, target to source, and both ways. Our solution is designed for global use, and hence it delivers precision-perfect mailbox migrations of different languages – Deutsche, Española, Italia, and English. You can undo any migration task, done mistakenly (for instance, deleted a mailbox) with Rollback feature. Exchange migration tool enables you to undo the changes immediately. This solution isn’t limited to migrate mailboxes and public folders, but it also migrates complete mailbox properties and permissions – such as Outlook profiles, Outlook rules and folder permissions, mailbox permissions, and GAL list. Additionally, it can migrate everything to the targeted mailbox – even including the total SID history and Passwords. I want to know the actual benefits of using Kernel Migrator for Exchange. Also, the software integrates many other features which user can use while performing migration. How to migrate Exchange 2010 mailboxes to Office 365? I am searching for a tool to export my mailboxes on Exchange Server 2010 Standard to PST file. Can Exchange Migrator do that? Yes. In addition to complex Exchange/Office migrations, this tool can backup up Exchange/Office 365 mailboxes. To export the Exchange Server 2010 to PST file, you need to create a Backup Project and then create and run a Backup Job. However, if your primary goal is Exchange backup or EDB recovery (and not complex Exchange/Office 365 migrations), then you can use a much simpler tool Kernel for Exchange Server. And if your only goal is Exchange/Office 365 backup & PST import (and not recovery or migration), then you can use a specialized tool, Kernel Exchange Backup & Restore. Can you guide on preparing for the migration project? To prepare for the migration you are going to perform, you can use the Pre-migration Analysis feature of the Kernel Migrator for Exchange software. You just need to have the Source and Target credentials with you. Try this feature to estimate the time required to complete the migration. Can I try and test Kernel Migrator for Exchange tool? Yes, you can try it for free. The software is available for free trial before purchase. All you’ve to do is to fill-up a quick download form and submit it; the software gets downloaded after that. After receiving your download query, the Kernel support team will immediately contact you to provide free migration access to let you save the migrated items, depending upon your requirements (based on the number of mailbox migration etc.). Where should I install the software? This software can be installed on any standalone server, but we recommend you install it on a client machine of either the Source domain or Destination domain (in the same LAN). Also, make sure that you have MS Outlook installed and configured on the system where the software is to be installed. Is public folder migration possible with Kernel Migrator for Exchange? This software definitely migrates public folders from Exchange and Office 365. 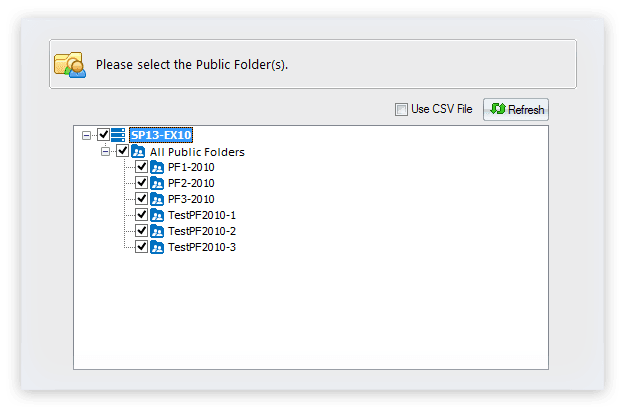 For that, the user needs to create a Public Folder Migration job in their migration Project. Is public folder migration possible between on-premises Exchange SBS 2003 and Office 365? There are not many migration software which supports Exchange SBS 2003, but Kernel Migrator for Exchange supports. It can access the public folder data from Exchange 2003 and migrate to Office 365. I am looking for a software to migrate public folders from Exchange 2010 to Office 365. Can this tool do it? Yes. The tool supports the migration of public folders from Exchange 2010 to Office 365. You can create a job for public folder migration and run this job to migrate public folders from Exchange 2010 to Office 365. While using this software, is it possible to execute the migration on specific days only? Yes, it is possible. While scheduling the migration, the Kernel Migrator gives you the option to allow or deny migration on specified weekdays. Does Kernel Migrator for Exchange support backup also? Yes. 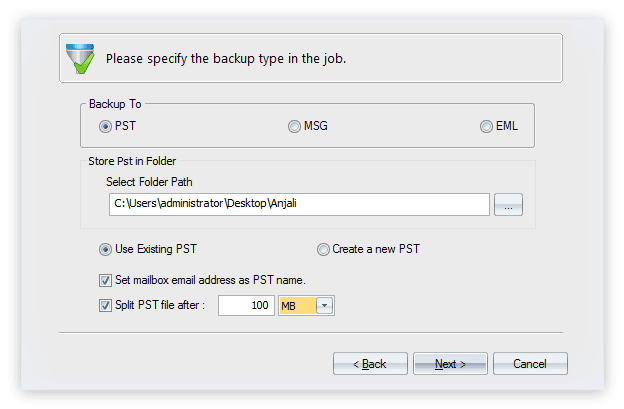 Users can take backup of Exchange as well as Office 365 mailboxes to formats like PST, MSG, and EML. I have a client that hosts their emails on Office 365, and they want me to export one of their mailboxes to a PST file. Do you have a product that can do this for me? Yes, Kernel Migrator for Exchange can fulfill your need (though it is designed for complex Exchange/Office 365 migrations). It can directly access the mailboxes from your client’s Office 365 account and save to the PST file. However, if you are looking for a specialized tool to back up Office 365/Exchange (or import PST to Office 365/Exchange), then try Kernel Office 365 Backup & Restore. Does this product export emails from Exchange Online to EML format? Yes, our tool supports exporting Exchange Online emails to EML format. You can create a Backup Project for your Exchange Online account and save the mailbox items in EML format. Does Kernel Exchange Migration software support auto mapping of the source and destination mailboxes? The software provides different mapping options like Map automatically, Map using CSV, etc. using which users can have an automatic mapping of mailboxes. Does Kernel Migrator for Exchange delete/modify anything from the source server? No. It allows you to migrate everything from the Source server passively (including mailbox rules, permissions) to the Target server. It ensures that no data is deleted or modified on the Source server during the process. Can I migrate from Office 365 platform? Yes, you can. This Exchange migration tool also allows migrating all data from Office 365 to another Office 365 user account. Does it support migration to hosted Exchange? Yes, it does. The solution allows migration to hosted Exchange Server from on-premises Exchange Server and Office 365. While doing mapping, I am unable to find mailboxes in the target server mailbox list. Can you please guide regarding this issue? This issue may arise if the user mailbox with the same name is unavailable in the target server (or it is available with a different name). In this condition, you can select the source mailbox and map it with some other mailbox in the target. Alternately, you can create a new mailbox in the target (using the Create Mailbox option in the tool). Can I migrate mailboxes within same domain server? 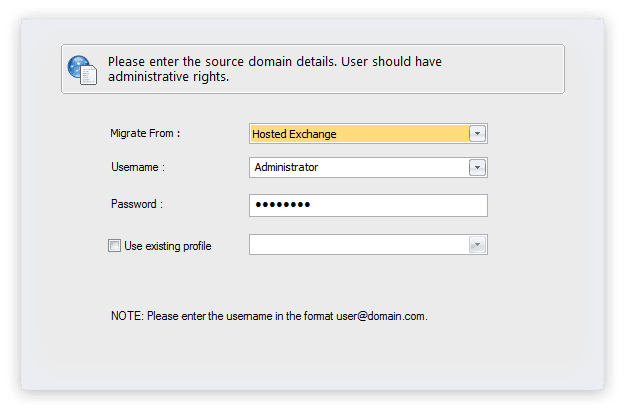 Yes, you can migrate user mailboxes and public folders from one Exchange to another Exchange Server within the same forest/domain using Exchange Migrator tool. However, the intra-forest migration is possible from Exchange 2003 to 2007/2010, and similarly, you can read the other Exchange migration deployment scenarios. Can I perform the direct Migration from Exchange 2003 to 2013? Unfortunately, you cannot perform direct migration from Exchange Server 2003 to Exchange Server 2013 within the same forest, as Microsoft does not support coexistence between the two versions. It is a Microsoft’s limitation. However, you can perform cross-forest migrations from Exchange 2003 to Exchange 2013 using Exchange Server Migration tool. Can the tool migrate items between servers with different language characters? Yes, it is possible. Kernel Migrator for Exchange supports mailbox migration of different languages and characters– including English, Deutsche, Española, Italia. So whatever languages your source and destination mailboxes are – you’re able to migrate all special language characters without any data loss. Can I migrate shared mailboxes using this tool? Yes, you can migrate shared mailboxes using this tool. Tell me how I can purchase additional licenses for this software. Please let me know how does Exchange migration licensing work? 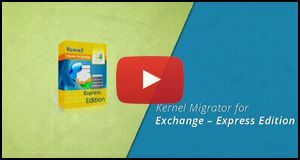 To know about the different licensing options for Kernel Migrator for Exchange software, please visit this page https://www.nucleustechnologies.com/exchange-migration/buy.html. Do I get free support service after the purchase? Yes. The technical support assistance is free of cost after purchasing the license key. Our product experts and technicians are available via chat, phone or email. They are available 24/7 for your assistance to you help resolve the issues. In addition to that, you can learn more from the Help Manuals and technical documentations that are available on our website to provide an additional knowledge base for the users. Can I purchase this software using PayPal? Yes, of course. When you click the Buy option to purchase any product of Kernel range including Kernel Migrator for Exchange, you will see the PayPal option under the Payment Information. Migrate to-and-from Exchange server (2003/ 2007/ 2010/ 2013/ 2016/ 2019) between two different domains or Active Directories. 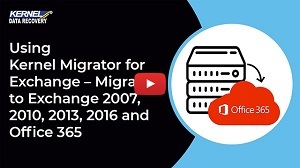 Majority of the migration tools are dedicated for a single type of migration only, but this tool supports migration for two major platforms - Exchange and Office 365. I am delighted with its performance. It remains the best migrator tool which I have used to migrate the Exchange Data. One thing which I liked most is that it migrates mailbox limits and permissions also. "Great on-call assistance from the team thanks for the efforts." Recover mailboxes from EDB, OST, or PST to live Exchange & Office 365. Repair corrupt EDB files and save to PST, live Exchange, and Office 365. Generate accurate Exchange reports by scanning entire Exchange Server. GPMC (Group Policy Management Console) installed on the machine, where program is installed. 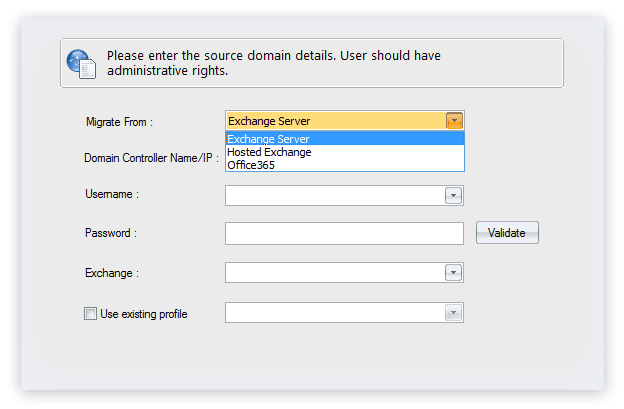 Required Anonymous Authentication in Security, for connecting Outlook profile to Office 365 and Exchange 2013. Other essential prerequisites are listed below.